Please fill out the form to schedule your dumpster delivery. A DumpsterRenters.com team member will reach out to confirm delivery and answer any questions you may have. When would like the dumpster delivered? What are you putting in the dumpster? 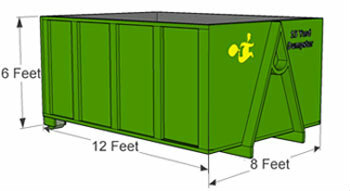 Where on the property you would like dumpster? Where should we place the dumpster? Any special instructions for delivery?